Science has come a long way. But we still don't understand everything about our universe — or ourselves. Why are we compelled to sleep every night? Why are we still not able to “see” dark matter? And where the heck are all the aliens? People have debated questions like these for decades — sometimes centuries. Fortunately, our unfaltering will to uncover the world’s mysteries has brought us closer to some answers than ever before. Here are six mysteries that still keep scientists up at night, and how close they are to solving them. Why do we need sleep? This may seem like a straightforward question, but the answer is far more complex than you might think. There have been countless attempts to find a definitive reason as to why humans need to sleep every night, but scientists are still unable to offer a single, definitive answer. Findings in sleep science have shed some light on the intricacies of sleep stages and brain activity, but ultimately, they have merely offered pieces to an ever-growing, incomplete puzzle. It doesn’t help that we don’t have much to compare ourselves to — as sleeping patterns and brain activity in other animals often deviate significantly from those of humans, further mystifying our understanding of sleep. Jerry Siegel, a psychiatry professor at UCLA’s Semel Institute of Neuroscience and Human Behavior, has been studying the sleeping habits of animals to understand why humans need to enter a hibernation-like state every night. “Our understanding and orientation [of sleep] is different than in any other animal because most of us would like to stay awake 24 hours a day. But in the natural world, animals that use a lot of energy are not going to survive,” Siegel tells Futurism. Nature values inactivity — for instance, winter hibernation allows certain animals to recover and store energy when it is not needed. “Across species, energy savings is the main evolutionary impulse for sleep,” Siegel explains. African elephants, for example, only sleep for two hours a day in the wild, likely because they need the rest of that time to feed in order to give their large bodies enough energy to function. The energy saving theory is one of several that scientists use to explain why we sleep. As scientists have created tools that can track brain activity during the act of sleep, they have come closer to finishing the puzzle and uncovering all of sleep’s mysteries. For example, the brain has mechanisms in place allowing it to purge itself of unnecessary information during sleep. “Sleep is the price we pay for learning,” Giulio Tononi, a psychiatry professor at the University of Wisconsin-Madison tells New Scientist. Tononi and his team conducted experiments on sleeping mice and found that, after sleep, synapses were significantly smaller than those before sleep. Tononi’s team concluded that the brain needs to allow this activity to diminish in order to solidify information it gathered while it was awake. The brain is bombarded with information during the day, and it reinforces it with strong neural connections. To mix the new information in with all of the existing information, those connections need to weaken to “absorb” it. In other words, sleep allows the brain to make new information pliable enough to fit in with all of the old. While this theory elegantly describes the brain’s process of making new information stick during sleep, Tononi and other neuroscientists have yet to prove that sleep is actually required for this to happen. To fully understand sleep, sleep scientists need a better sense of the neurobiological processes of the brain during both wake and sleep cycles. For instance, how come some of us are able to sleep through extremely noisy environments, and some of us can’t? Once we are able to measure exactly how awake or asleep the human brain is, it will bring us even further to knowing all there is to know about sleep. We don’t know what it looks like. We can’t see it. But it makes up more than 26 percent of the matter in the known universe. Since Dutch astronomer Jacobus Kapteyn hypothesized its existence in 1922, we have come to know it exists because of how it interacts with the matter we can observe, but dark matter is still mysteriously invisible to us. Most of the matter that’s visible to us is made of neutrons, protons, and electrons. But dark matter does not adhere to these classifications. It’s made up of different types of particles we haven’t yet been able to categorize and that interact with light and matter in a completely different way. Dark matter does not absorb, reflect, or emit light. But its gravitational influence does bend light as it passes nearby — that kind of observation is how scientists know that dark matter exists. Researchers have been studying this phenomenon, trying to unravel its mysteries, almost since its inception. More recently, the Large Hadron Collider at the European Council for Nuclear Research (CERN) has brought us closer to actually doing so — researchers there are working to identify the invisible material by accelerating tiny particles and then studying the energy and momentum involved in their movements when they collide at high speeds. Recent studies suggest that gravitational wave detectors could allow us to “see” dark matter for the first time. But the truth of the matter (so to speak) is that we are still very much in the dark about one of the most abundant entities in our universe. We are inching closer to piecing together the earliest moments of the universe, but its true origin is still a mystery. “Any theories or models of ‘creation’ are incredibly speculative at this point,” Paul Sutter, an astrophysicist at Ohio State University and chief scientist at the Center of Science and Industry, tells Futurism. Perhaps the best-known theory about the beginning of the universe is the Big Bang theory, in which the universe expanded from an extremely hot and dense singularity around 13.8 billion years ago. But people misunderstand if they think that matter simply exploded into being from nothing, Sutter says. “The Big Bang happened everywhere in the universe simultaneously; it’s not an explosion in space but an explosion of space.” Yet, the exact process of what caused this (and of course, what was there beforehand) remains unknown. 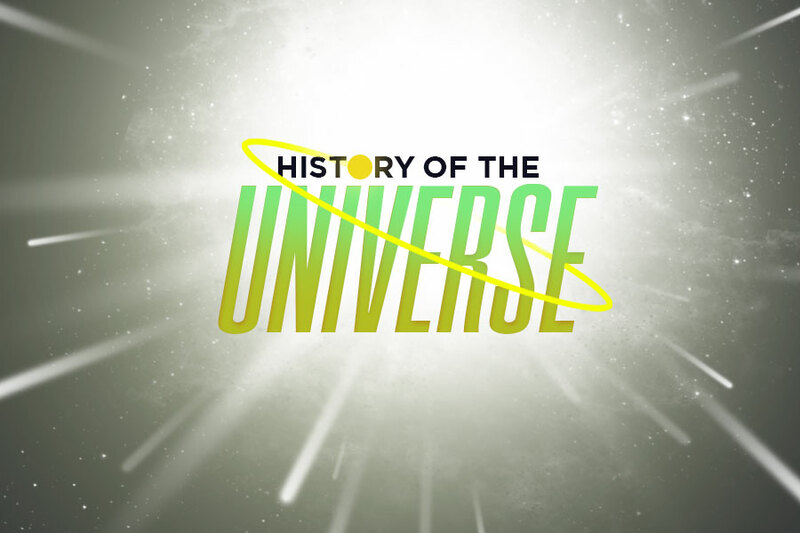 “The earlier we go in the history of the universe, the less we understand,” Sutter says. While we have caught brief glimpses of the universe when it was only 300,000 years old, scientists are still speculating about the extreme forces at play during the universe’s first moments. Like all good mysteries, a question that seems simple yields more questions that must be solved before we can find the answer to the initial question. “We’re prevented from knowing the very earliest moments (like, less than 10^-40 seconds) because we don’t fully comprehend the quantum aspects of gravity,” Sutter says. To this end, to fully understand the creation of our universe, we will need to have a comprehensive understanding of the laws of physics that govern matter and antimatter. This is a bit of a problem, as CERN recently confirmed that the Standard Model of particle physics may have to be turned on its head, as it doesn’t account for the majority of the matter the Big Bang produced. Once we have fully understood the nature of antimatter and how it interacts with matter, we won’t have a final answer to the origin of the universe, but we will come much closer to understanding how it came to be. Beyond the Kuiper belt, a mysterious cluster of objects is orbiting the Sun. They orbit even more distant from the Sun than Neptune, but some of the objects’ trajectories don’t seem to fit the expected pattern. Most of them circle around Neptune, kept in the planet’s orbit by its powerful gravity. But a handful of these objects seem to be pulled out of place by something with much greater mass. Konstantin Batygin, assistant professor of planetary science at the California Institute of Technology, believes that these peculiarities are at least partially caused by the existence of Planet Nine — a yet-to-be-discovered ninth planet in our solar system. Think of the solar system as a giant disc. The orbits of these strangely behaving objects seem to bend the disc upwards at its edge. Planet Nine needs to be massive to have this kind of influence — a bigger mass than Earth, even. However, despite its apparent mass, we have not yet been able to prove its existence. In part, this is because we only just started looking for it; scientists first started theorizing about its existence in 2014. However, that’s not the only reason that the planet remains undiscovered. “We haven’t found it yet because it is staggeringly dim,” Batygin says. “With the best telescopes around, we could just barely detect it, we think.” Infrared analysis is out of the question because the instruments are simply not sensitive enough. That forces astronomers to look for reflected light — an even more challenging task than infrared analysis. This is because any light that Planet Nine reflects has to travel from the Sun to the far reaches of the solar system, bounce off Planet Nine, and then arrive back to Earth. Reflected light diminishes exponentially as it crosses a distance; the properties of reflected light are stacked against us finding Planet Nine. However, with advancements in technology, a more sensitive telescope may be able to register light reflected from it, once and for all confirming Planet Nine’s existence. Astronomers are also using computer simulations to estimate its orbit to get a better sense of where it will be and when. It’s possible that Planet Nine may be simply at a point in its orbit that makes it too distant to be observed. Why Do These Sounds Make My Brain Tingle? You might have encountered them on YouTube: thousands of videos narrated in hushed voices and accompanied by soft sounds, like massaging a textured piece of fabric or the faint hum of a hair clipper. A specialized microphone gives you the sensation that you are there. For some people, the sound creates the sensation of a scalp massage. The result of this experience: a relaxing, tingling sensation in the brain in about 90 percent of the population. But why it happens, and why it doesn’t work for everyone, is still unknown. Craig Richard, a professor of biopharmaceutical sciences at Shenandoah University and founder of ASMR University, has been studying this peculiar sensation since 2013. “We are at the very beginning of unraveling the science behind ASMR,” Richard tells Futurism. While past biological studies have shown that functional connectivity (regions of the brain that light up on a fMRI) is different in brains that experience ASMR than in those that don’t, ASMR remains a mystery. Why is it that only a certain percentage of humans experiences it? Why does it even exist? “I don’t think there will ever be one explanation that satisfies everyone,” he says. Where Is Intelligent Alien Life? The universe is billions of years old. Considering the age and sheer vastness of our cosmos, it’s hard to comprehend why we haven’t found other signs of intelligent life. Basic probability indicates that we should have found extraterrestrials by now, so where are they? Astronomers and physicists have put forth many theories in their attempts to explain. One theory suggests there is a great cataclysmic event that stops any civilization from ever making contact, while another proposes that aliens are trapped beneath thick layers of ice and rock on distant moons. If extraterrestrial life does exist in our solar system, researchers suggest that it is likely microbial, as opposed to intelligent alien life. These alien organisms are thought to be on small, icy planets, such as the moons of Saturn or Jupiter. Scientists at NASA have conducted studies to investigate the composition and state of the large oceans on these moons because, they predict, the presence of abundant water might allow alien life to thrive. But so far, these are only educated guesses based on findings of NASA’s Galileo satellite and extensive scanning and observation. NASA is planning to get a closer look by traveling to Jupiter’s icy moon Europa within the next decade. But even if we did find alien life, would we be able to recognize it? Looking for familiar carbon-based lifeforms that use water as life support might limit us in our quest to find alien life. Scientists must be able to fully distinguish alien messages from all the other noise in space — and even that is far from simple. What if their message is indistinguishable from other frequencies? What if they don’t want to be found? In any case, the search is far from over. In fact, in many ways, the search is only just beginning.